I’ve given this a lot of thought. Someone in your life loves their Kindle — and now it’s that special time of year when you want to give them a gift. Unfortunately, this year’s popular gift item is the Kindle — and they have one already! What can you give them besides a Kindle that will make their eyes light with excitement? For starters, how about a big stack of Kindle ebooks? Amazon sells pre-paid gift cards for Kindle purchases — and you can even get one with a holiday picture! There’s also card designs that say Happy New Years or Happy Holidays — plus over 100 other designs for special occasions throughout the year. 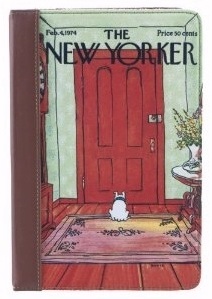 And M-Edge has created a line of three different covers designed to look like The New Yorker magazine. Of course, there’s lots of other decorative skins. Just five weeks ago, a new Marware product line appeared in Amazon’s Kindle Accessories Store: colorful rubber “skins” that wrap around a Kindle. 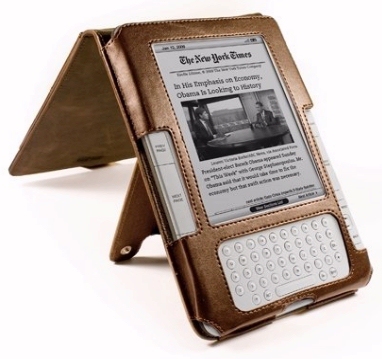 The sturdy padding is technically referred to as a “fitted silicone case,” and it protects your Kindle from chipping if it falls to a hard surface. And, according to at least one reviewer on Amazon, it can also make your Kindle easier to grip. 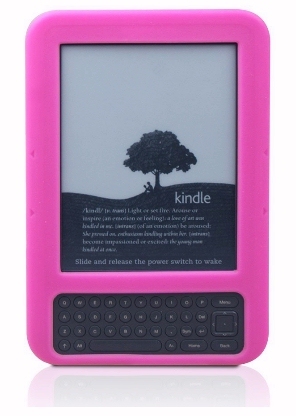 There’s seven different colors to choose from, including black, white, and graphite — matching the colors of Kindles — but also pink, red, blue, and “frosted”. And best of all, they’re all available for under $20. Of course, if you want to offer someone the ultimate protection for their Kindle — buy their Kindle a two-year extended warranty! 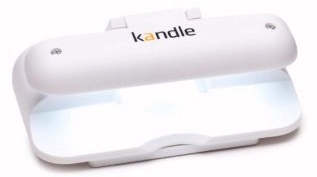 They own a Kindle — but do they own a Kandle? These cute, battery-powered reading lamps fit over the top of a Kindle. It’s currently Amazon’s best-selling reading light for the Kindle — but perhaps the best testimonial comes from an Amazon reviewer who’d been keeping his bedroom lamp on to read his Kindle — only to discover this was infuriating his wife! “I’m going to smash your new toy!” she growled one morning with the force of crossed gods and dying suns. A chill swept over the planet. Birds stopped singing. Children paused in playgrounds. In November, Amazon introduced a brand new feature for the Kindle: the ability to “gift” someone with the book of your choice. Unfortunately, the ebook doesn’t actually appear on their Kindle — Amazon just sends along an e-mail announcing that the ebook’s now available and that it’s already been pre-purchased — so this only works as a Christmas gift if your intended recipient is checking their e-mail on Christmas Day. But I still think it’s an exciting gift, because it’s a completely new way that you can surprise the Kindle lover in your life. 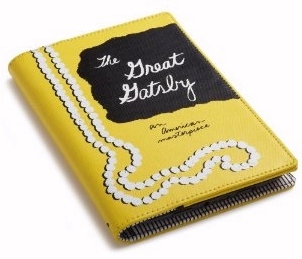 And of course, don’t overlook the most spectacular gift idea of all for your Kindle-loving friends. If you’ve got the money, you could always buy them another Kindle! If they’ve got the Kindle 3G, get them a $139 Kindle WiFi, so they can enjoy their reading on a Kindle that’s even lighter. Or, buy them an international Kindle Dx, so that they can enjoy its even bigger 9.7-inch screen. I think a good balance of the two is most beneficial for a child. Obviously educational books and television programmes can increase a kid’s intelligence, but happiness is also key and if the child is not happy reading non-fiction and watching educational shows then they’re not going to enjoy it and they’re not going to learn. Parents should ENCOURAGE educational things but not force it upon their children – the ultimate decision should be that of the child. Are Writers Being Hurt By Technology?